Victor Vasarely, Arny (Ombre), 1967-1968. 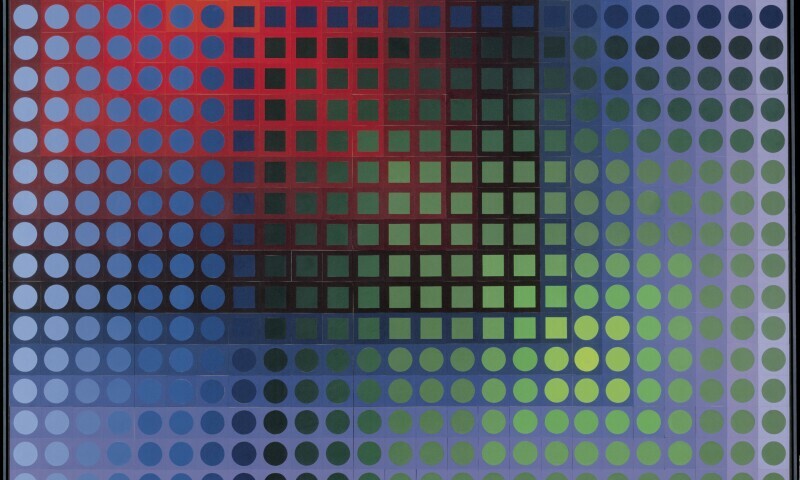 The Centre Pompidou presents the first major retrospective in France to be dedicated to Victor Vasarely. With over three hundred works, objects and documents, the exhibition explores the world of Vasarely and showcases all the facets of the prolific creation of the father of optic art, presenting every aspect of his work from paintings, sculptures, multiples and architectural integrations to advertisements and early studies. Level 6 until 11pm on Thu.